Unfortunately, cataracts are the leading cause of blindness worldwide. Thankfully for those of us who live in the United States, excellent cataract treatment is widely accessible, and cataract-related blindness occurs at a significantly lower rate. However, the only way to treat cataracts is to have the affected natural lenses of the eyes surgically removed and replaced with artificial intraocular lenses (IOLs). Before this can happen, the cataracts must be properly diagnosed. As with most eye conditions, it is best to have cataracts diagnosed in their earliest stages, before they have the opportunity to progress and interfere with a person’s vision and overall quality of life. This is why it is important for people to have their eyes examined every two years, or every year if they are over 65 or are otherwise advised by a healthcare professional. Patients of Byrd Eye Clinic have the advantage of knowing that their eyes are being examined by a cataract specialist who has been diagnosing and treating cataracts at his Detroit, MI practice for nearly two decades. Dr. Thomas Byrd combines state-of-the-art diagnostic technology with a warm, personal touch that is rare in modern medicine. If you have been experiencing any of the symptoms of cataracts - clouded vision, sensitivity to light, poor night vision, halos around lights, double vision, changes in color perception, or an overall decline in the sharpness of your vision - we urge you to visit Byrd Eye Clinic for a comprehensive eye exam. The slit lamp test: A slit lamp is an instrument comprising an intense mobile light and a microscope that allows Dr. Byrd to examine your cornea, iris, pupil, vitreous body, and lens in precise detail. Dr. Byrd will view these structures in thin sections (hence, “slits”), carefully searching for any abnormalities that would indicate the development of cataracts. The exam is quick and painless. Retinal exam: Dr. Byrd will dilate your eyes in order to open the pupils wide. 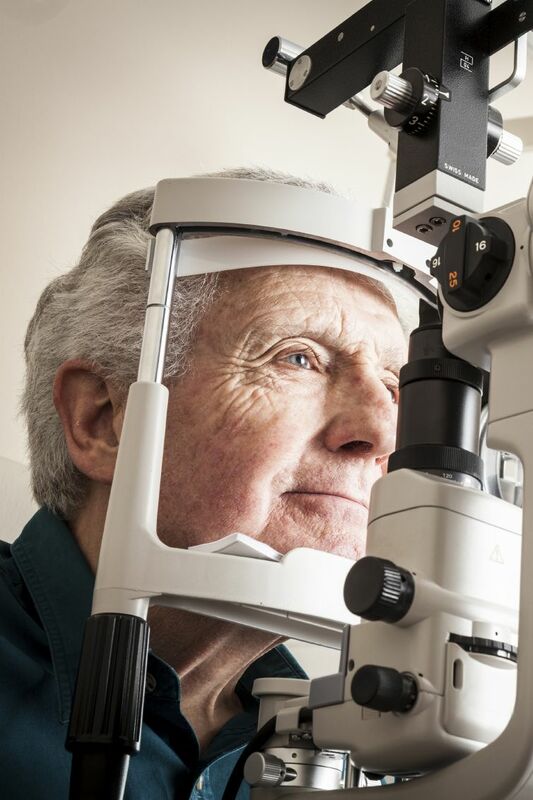 At this point, he can see the back of the eye more clearly and look not only for signs of cataract development, but also problems with the retina and optic nerve. If cataracts are diagnosed, then Dr. Byrd will discuss cataract surgery with you. Modern cataract surgery is one of the safest and most dependable procedures in the history of medicine, particularly when it is performed by an experienced, highly trained professional such as Dr. Byrd. He will also explain your IOL options to you so that you can make a confident, educated decision about how to proceed with your treatment. To learn more about how cataracts are diagnosed, or to schedule your initial consultation with Dr. Thomas Byrd, please contact Byrd Eye Clinic today.